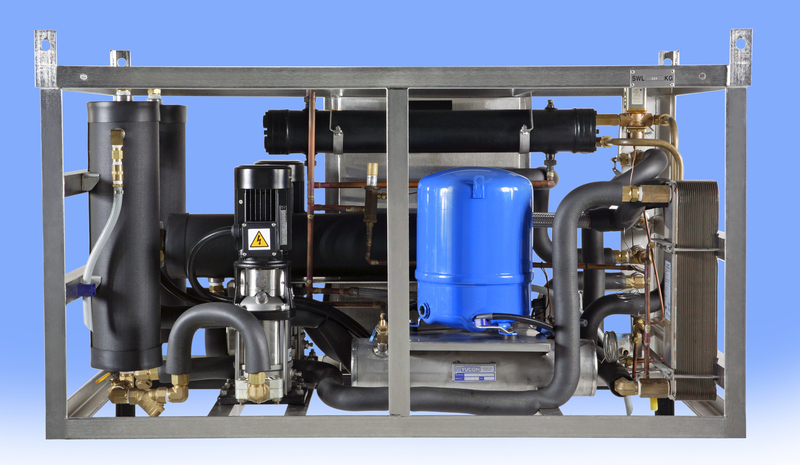 JFD's Divex heater chiller skid (HCS) is specifically designed to supply heating and cooling fluids for the environmental conditioning of deck decompression chambers (DDC). 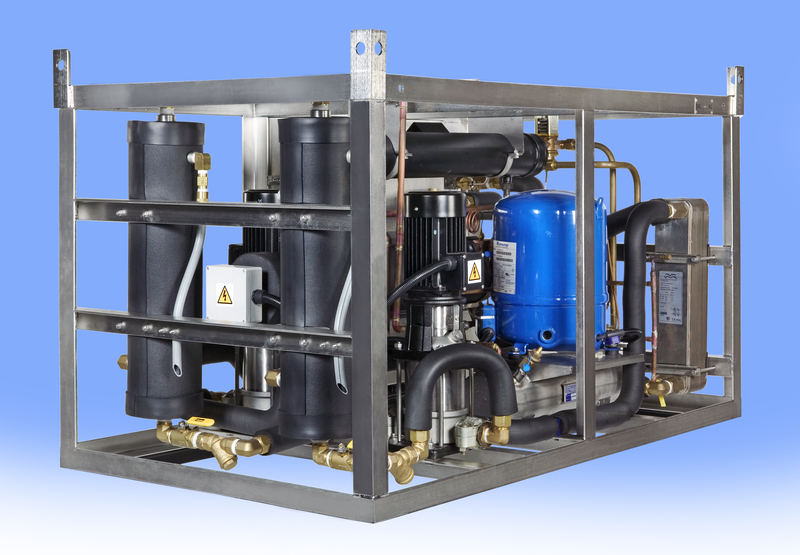 This is achieved via the controlled distribution of these supplied fluids by a chamber environment controller (CEC) unit to a habitat conditioning unit (HCU) within the DDC. 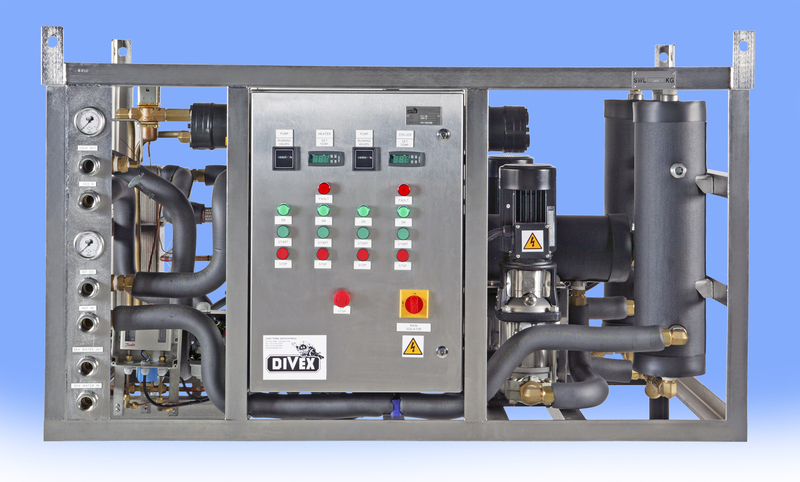 Once commissioned the above arrangement provides controlled delivery of heating, cooling and dehumidification capacity to a DDC, in order to create and maintain optimum living conditions for saturation diving personnel. 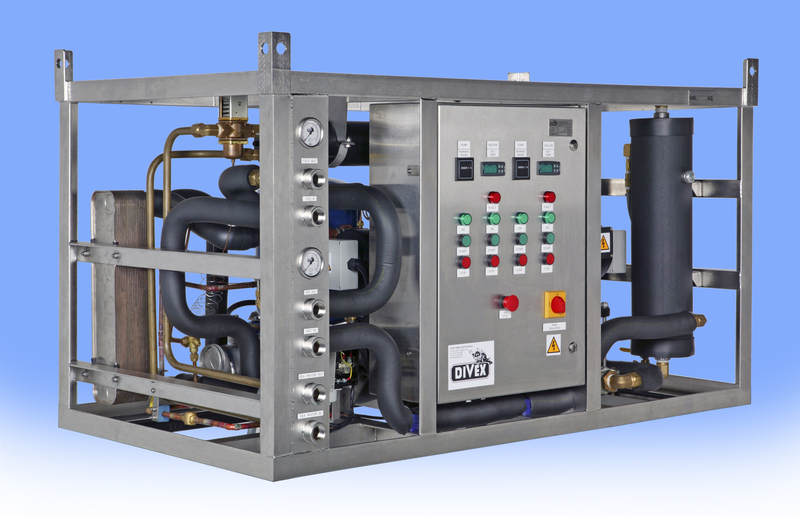 The Divex branded heater chiller skid (HCS) a packaged and fully self contained unit.